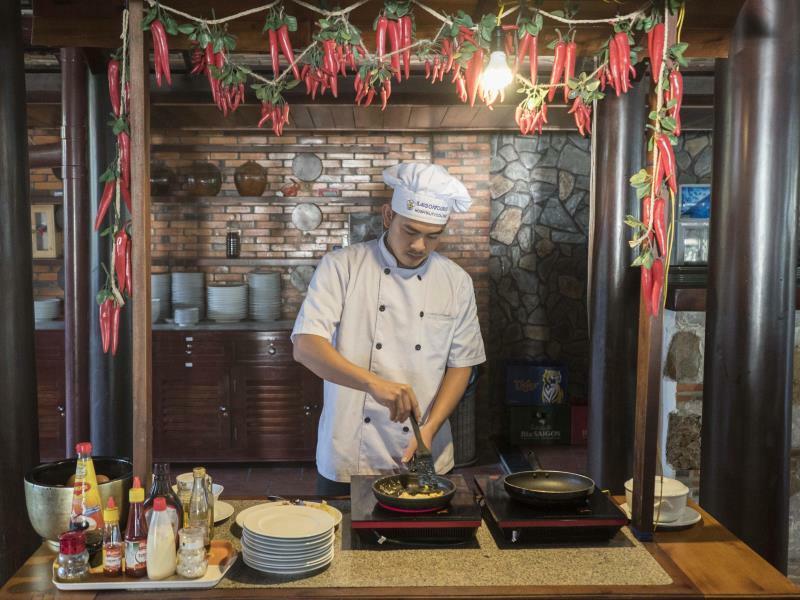 Blue Shell Resort's restaurant serves breakfast, lunch and dinner with an extensive menu, fresh seasonal food and balanced taste between Vietnamese cuisine and world cuisine. Especially, coming to Mui Ne, you cannot help but enjoy fresh seafood dishes prepared by experienced cooks of the resort, which certainly will bring you unforgettable feelings. 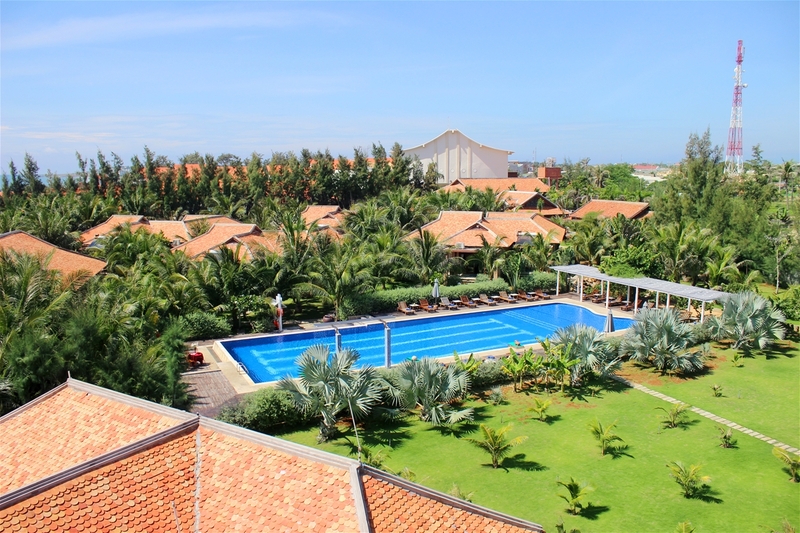 With a plentiful drink menu, you can enjoy avariety of pure coffee flavors or tea flavors of the three regions of the country and typical juices of Mui Ne. A collection of the world's famous wines, together with many different types of beer and various drinks will surely make you satisfied. Blue Shell Resort are pleased to serve you ! Blue Shell Resort, located close to the blue sea with white sand beaches, shaped with green grass and coconut rows, the typical feature of tropical waters, is a place where sunshine, white sand and scenery blend together and create a beautiful and charming resort. Designed in'classical architecture with opulent warm dark brown color and premium interior design installations, Blue Shell Resort not only gives guests a luxurious relaxing space, this place is also a perfect work of art surrounded by vast blue waters. Lying at the heart of Mtii Xe, Blue Shell Resort, a four-star intemational standard resort, with 60 rooms designed in classic style, luxurioud equipment, modern facilities, besides external services such as swimming pools, beach restaurants, private beaches with umbrellas, couchettes, open bars, and so on, always brings wonderful moments of rest to the guests. 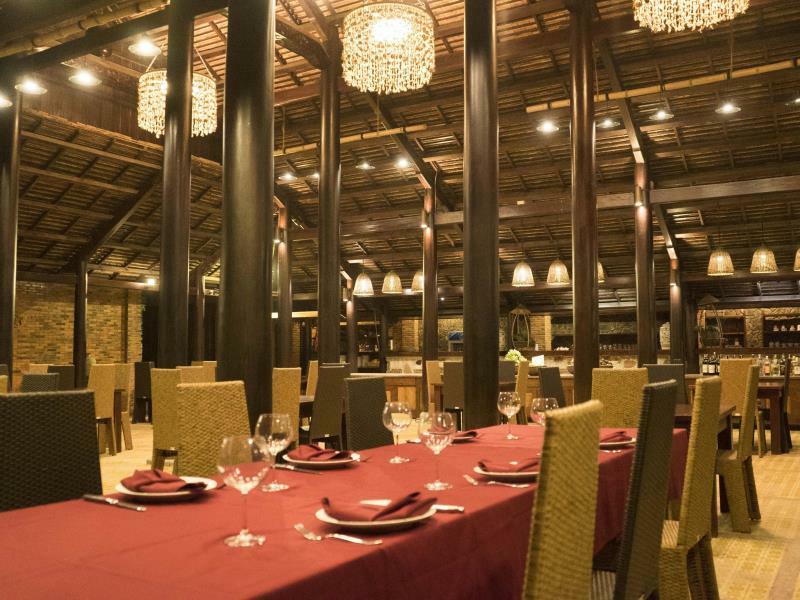 Vietnam House Restaurant, situated next to clear blue sea and golden-sand beach, owns a luxurious and romantic space and serves unique dishes. 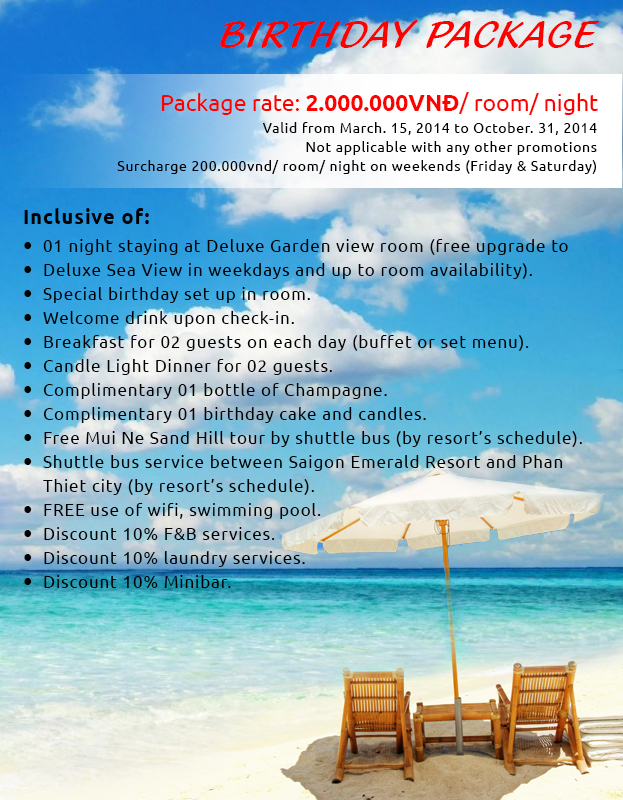 Guests will be pleased to enjoy delicious Euro - Asian dishes and traditional sp&ialties of Vietnam. Experience a memorable meal with your family in the sunset and romantic melodious music mixed with wave sounds. 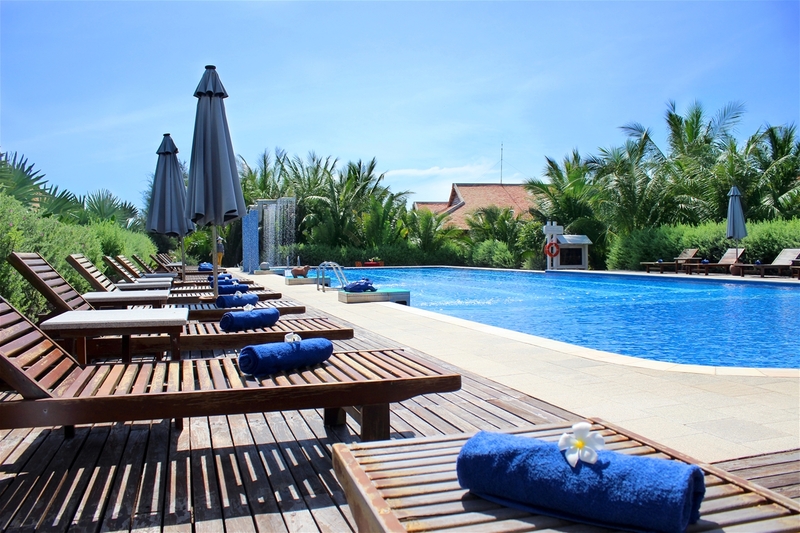 Blue Shell Resort also offers recreational activities such as excursions and outdoor leisure activities, which help connect the guests with the local folk culture full, of character. 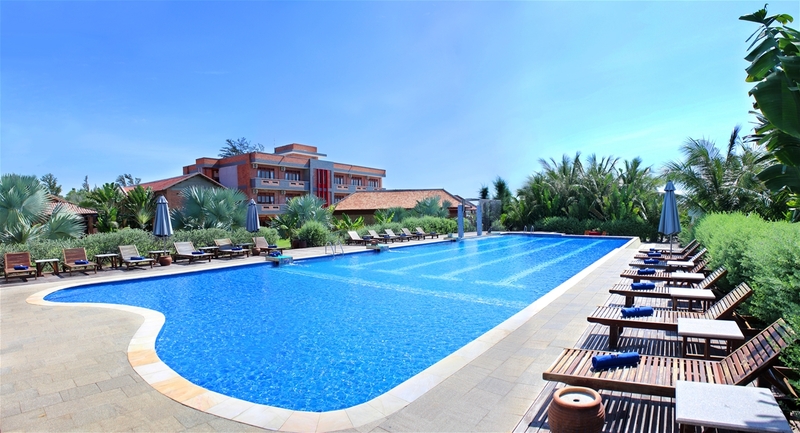 Let you and Blue Shell Resort make good memories at a luxurious and unique resort with many interesting experiences. Come see us and have a great holiday at Blue Shell Resort with unforgettable interesting experiences, which you won't find anywhere else.